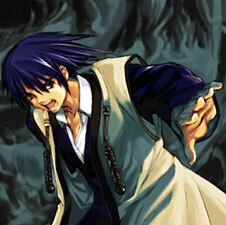 The game's protagonist. Guided by a mysterious voice, he finds himself whisked away to the fantastic world of Phantasmagoria. Unfortunately, his little sister is brought along for the ride, and when she is taken hostage by the king of Rakios, Yuuto is forced to wield an Eternity Sword alongside beautiful female Spirits and fight for Rakios against countries whose people he knows nothing about, dreaming all the while of the day when he and his sister will be able to go home. A blue-eyed, blue-haired girl who speaks little and rarely shows her emotions. 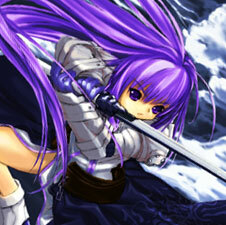 She believes that battle is her sole purpose in life, and places great importance on the Eternity Sword she wields. Her halo takes the form of wings. 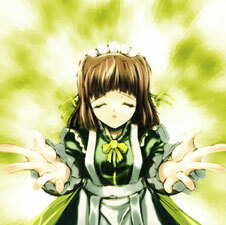 A green-eyed, brown-haired girl who is known for her gentle, self-sacrificing nature. She is the unofficial leader of Rakios's Spirits, but has a tendency to think of Spirits like herself as existing to serve humans. Her halo takes the form of a shield. 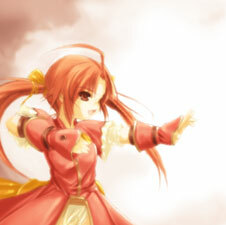 An innocent, carefree girl with crimson eyes and flame-red hair. She takes to Yuuto quickly, calling him "Papa." 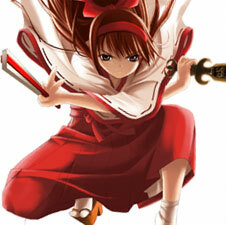 Because she was raised as a weapon of war, she treats battle like a game and thinks nothing of killing enemy Spirits. 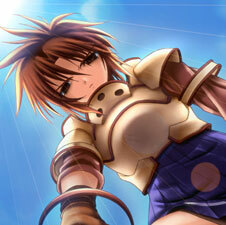 Her halo takes the form of two spheres, whom she affectionately calls Pii-tan. The Crown Princess of the Kingdom of Rakios, Lesteena's severe demeanor hides a kindhearted soul who abhors her father the king's greedy, heavy-handed ways and longs desperately for peace to come to Phantasmagoria. When she drops her guard, one can see the weight of her responsibility bearing down upon her shoulders. The captain of the Holy Sargios Empire's special forces unit, she is known throughout Phantasmagoria as "Uruka of the Jet Black Wings" and feared for her lightning-fast sword draw. 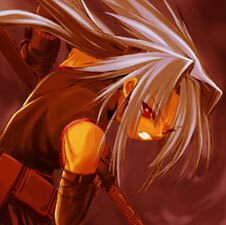 She is the quintessential warrior, a stoic who thinks only of how to improve her skill in battle. Uruka's halo takes the form of wings. The son of a Buddhist priest, Kouin is a noble-hearted young man who cares deeply for his friend Yuuto and Yuuto's sister Kaori. 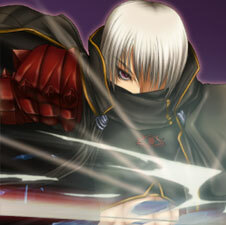 Summoned to Phantasmagoria, he must face Yuuto in battle as an Etranger of the Malorigan Republic. Yuuto's friend, and Kouin's girlfriend, Kyouko is an outspoken girl whose frank demeanor and caring soul endear her to everyone she meets. 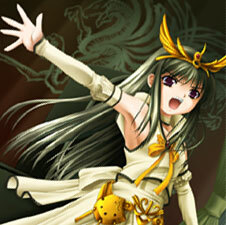 Summoned to Phantasmagoria, she is forced by a curse to do battle with Yuuto as an Etranger of the Malorigan Republic. In Yuuto's world, Tokimi is the slightly ditzy priestess whom Yuuto visits at the shrine near his home. Strangely, she often speaks to Yuuto as if she's known him for much longer than she has. It is after one such visit to Tokimi that Yuuto and his friends are transported to Phantasmagoria. Yuuto's younger stepsister, whose parents died in an airplane crash. A bright and good-natured girl, she is taken hostage by the king of Rakios in order to force Yuuto to fight against his will. 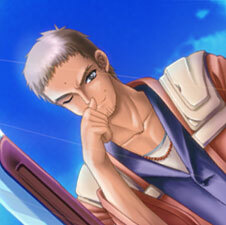 Harbors secret feelings for Yuuto. A young man who loathes Yuuto and is obsessed with his sister Kaori. In his heart there is only the desire to dominate, and upon arriving in Phantasmagoria, he uses his skills and talents as an Etranger to rise to power in the Holy Sargios Empire.